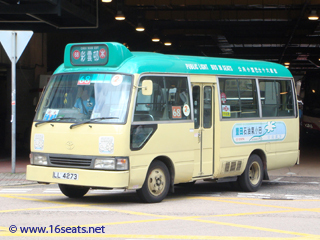 Express departures operate via Wai Yip St Flyover to Kowloon Bay (Enterprise Square) every 30 min between 07:30 and 09:00 on Mondays to Fridays (except public holidays). Lower Ngau Tau Kok Est Cheung Rd and Wang Chiu Rd. # Departures between 07:00 and 10:00 & 15:00 and 19:00 on Mon to Sat (except PH) will be diverted to operate via Lam Chak St as below.